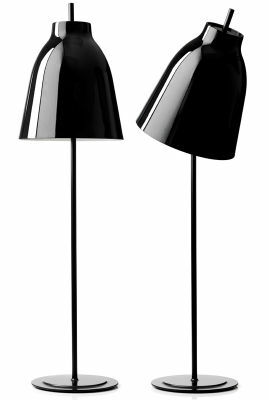 Caravaggio floor lamp designed by Cecilie Manz for Lightyears is an elegant design piece made of metal with a lacquer finish. 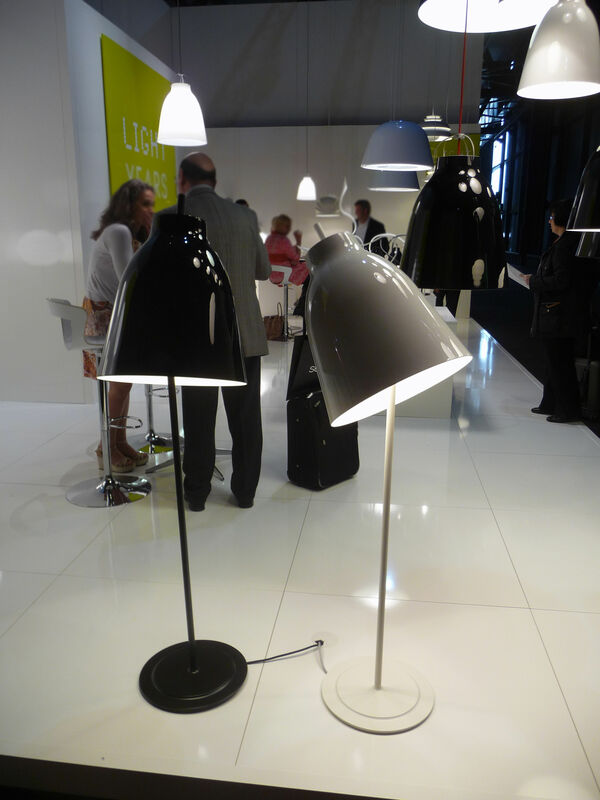 The characteristic shade is high-gloss lacquered, while the foot and standard have been given a dull lacquer finish. 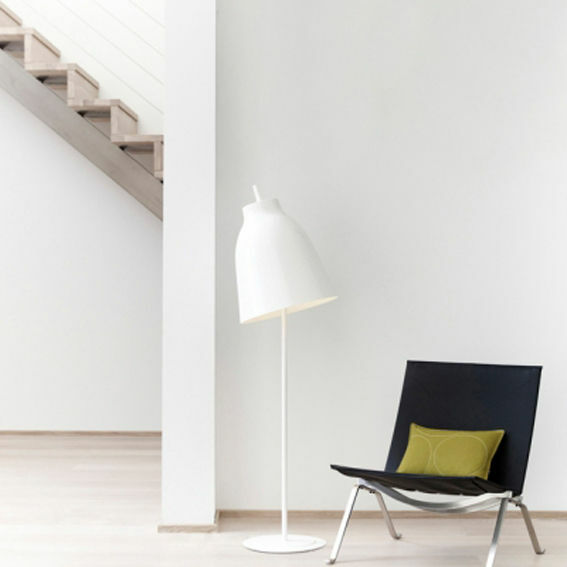 A flexible tube, which is hidden by the shade, has been mounted on the standard which makes it possible to tilt the shade, and with it the light cone, up to 40 degrees. 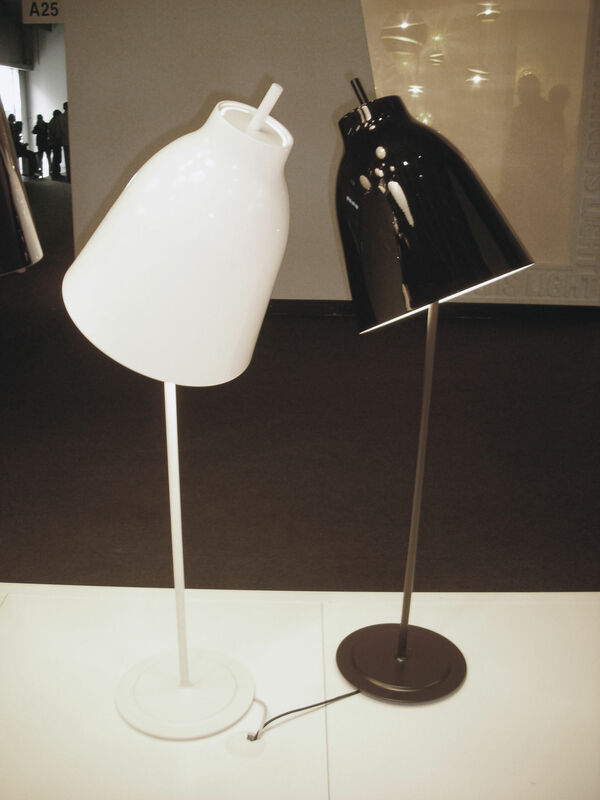 This function makes the floor lamp more flexible and functional as light source, so that it can be used, for example, as working light. At the same time an exciting asymmetrical look can be achieved when the shade is tilted.